The word “gnocchi” came from the Italian word nocca, meaning knuckle. Essentially, gnocchi is a form of dumplings, and, of course, not exclusive to Italy. But their light, airy texture and full potato flavor make them a unique pasta with a long history in classic European cuisine. 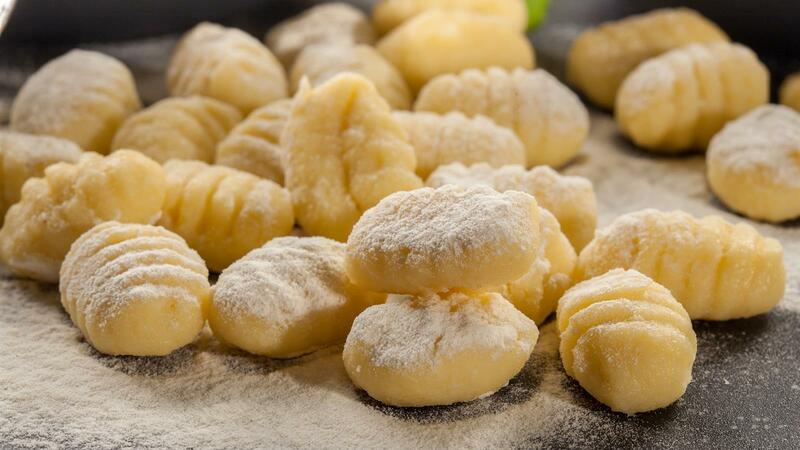 We will prepare one of the earliest versions of the gnocchi made with red potatoes and enjoy it three different ways: Gnocchi baked with fresh mozzarella and tomatoes, Gnocchi with a fresh pesto and green peas; and Gnocchi with an herbed butter sauce.